…and we’ve compiled them here for you! There’s no shortage of “best of” lists in fiction, nonfiction, history, mystery, cooking, and more. The Top 50, Dazzling Dozen, Notable 100. Lists are everywhere. And with so many books from 2017, it would take all of 2018 to catch up. At Reading Group Choices, we’ve done a bit of work for you. Below are ten titles we recommended this year that also appeared on another (or two, or many!) top lists. Some have already received attention, while others may have more attention yet to come. Four generations of a poor, proud immigrant family fight to control their destinies, exiled from a homeland they never knew. 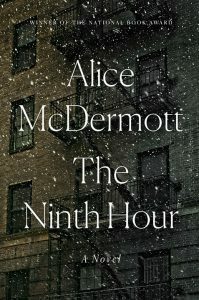 From the bustling street markets to the halls of Japan’s finest universities to the pachinko parlors of the criminal underworld, Lee’s complex and passionate characters—strong, stubborn women, devoted sisters and sons, fathers shaken by moral crisis—survive and thrive against the indifferent arc of history. For five hundred years, legends have told of an ancient, lost city hidden in the Honduran rainforest—a place so sacred that those who dared disturb it would fall ill and die. In 2012, Douglas Preston joined a team of scientists on their quest to find the White City, climbing aboard a rickety plane whose historic flight would change everything. The Lost City Of The Monkey God is the true, eyewitness account of one of the great discoveries of the twenty-first century—a story of ancient curses, modern technology, a vanished culture, and a stunning medical mystery. On a dim winter afternoon, a young Irish immigrant opens the gas taps in his Brooklyn tenement. In the aftermath of the fire that follows, Sister St. Savior, an aging nun appears, unbidden, to direct the way forward for his widow and his unborn child. His suicide, although never spoken of, reverberates through many lives and over the decades testing the limits and the demands of love and sacrifice, of forgiveness and forgetfulness, even through multiple generations. 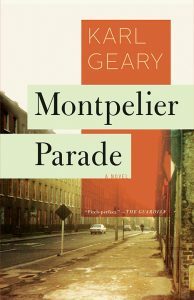 Montpelier Parade is just across town, but to Sonny it might as well be a different world. Working with his father in the garden of one of its handsome homes one Saturday, he sees a beautiful woman coming down the path toward him. This is Vera, the sort of person who seems destined to remain forever out of his reach. A series of intoxicating encounters with Vera lead him to feel he has fallen in love for the first time, but why does her past seem as unknowable as her future? 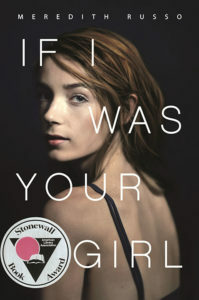 The award-winning, big-hearted novel about being seen for who you really are. Amanda Hardy is the new girl in school. When she meets sweet, easygoing Grant, Amanda can’t help but start to let him into her life. But she’s terrified that once she tells him the truth, he won’t be able to see past it. Because the secret that Amanda’s been keeping? It’s that at her old school, she used to be Andrew. Will the truth cost Amanda her new life, and her new love? What would happen if women suddenly possessed a fierce new power? In The Power, the world is a recognizable place. But then a vital new force takes root and flourishes. Teenage girls now have immense physical power – they can cause agonizing pain and even death. And with this small twist of nature, the world drastically resets. From award-winning author Naomi Alderman, The Power is speculative fiction at its most ambitious and provocative. 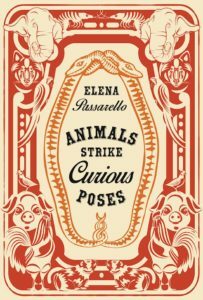 Elena Passarello channels her own potent sense of natural wonder into sixteen wondrous essays about legendary animals of history, constructing a bestiary that informs, astonishes, and delights. Passarello’s menagerie spans nearly 40 millennia, from Yuka, the 39,000-year-old wooly mammoth recently pulled from Siberian permafrost to Cecil, the beloved lion killed for sport in Zimbabwe in 2015. The collection celebrates the vibrancy of the human imagination as it approaches the animal other. Sixteen-year-old Starr Carter is thrust into the national spotlight after her childhood friend is killed by a white police ofﬁcer after a routine trafﬁc stop. As she works through her grief and her relationships with family and friends, she must navigate the vastly different worlds of her suburban private school and her poor, urban neighborhood. Angie Thomas’s searing debut addresses issues of racism and police violence with intelligence, heart, and unflinching honesty. In the United Arab Emirates, foreign nationals are brought in to construct and serve the towering monuments to wealth that punctuate the skylines of Abu Dhabi and Dubai. 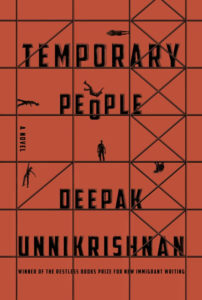 With his stunning, mind-altering debut novel, Unnikrishnan presents 28 linked stories that careen from construction workers who shapeshift into luggage to a woman who stitches back together the bodies of those who’ve fallen from buildings in progress. 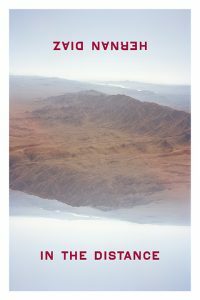 With this polyphony of voices, Unnikrishnan maps a new, unruly global English and gives personhood back to the anonymous workers of the Gulf.